Have you been recently injured in a car accident caused by another driver’s negligence? Maybe a loved one has been injured in a slip-and-fall accident in a nearby business? 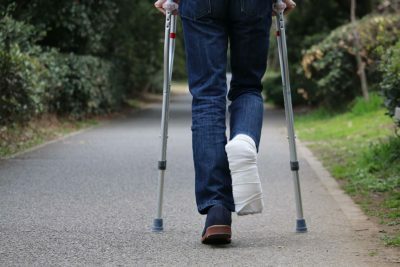 If you or a loved one has recently suffered serious personal injuries due to an accident, then you may be eligible to file a claim for compensation. Our Charlotte personal injury attorneys at Brown Moore and Associates are dedicated to helping personal injury victims and their families. We provide personalized services to each of our clients and their specific situations. Brown and Moore’s personal injury lawyers work tirelessly in pursuit of maximum settlements and compensation verdicts for all of our clients. If you have any questions regarding your personal injury claim, please call and talk to one of our skilled personal injury attorneys today. How Can a Personal Injury Claim Help My Case in Charlotte, NC? When another individual’s negligence or careless behavior results in major injuries where medical treatment is needed and you are left unable to quickly return to work, you should not have to pay the hefty price. Charlotte personal injury settlements and compensation can provide the injured party with the monetary means to pay for medical bills and future treatments. The money awarded through settlements can also help cover some of the injured person’s lost wages. Lost wages are generally awarded to the injured party if they cannot return to work right after the accident. What Do I Need to Know About Filing a Charlotte Personal Injury Claim? Not sure if you should hire a Charlotte personal injury attorney? Reach out to Brown Moore and Associates today! There are some specific steps you can take when filing a personal injury claim. It is important to start preparing for your personal injury claim as soon as possible immediately following the accident. Following certain steps to protect your rights after your injury is very important. Keep in mind that you should never admit fault to anyone at the scene of the accident, this includes medical responders or law enforcement officials. Keep a record in writing of all the names and contact information for all parties at the scene of the accident. This includes all witnesses and other potential negligent parties. Try and take as many photos as possible, and remember to get multiple angles. Close-up photographs and large scale pictures can come in handy for your attorney. Plus it is important to take photos of all the injuries suffered in the accident. When you are required to contact your insurance company after a car wreck, answer their questions factually and honestly, but avoid any opinion based information. It is not advisable to file a personal injury claim on your own. Seek legal counsel from an experienced Charlotte personal injury attorney who can help with the specifics of your case. If you are uncertain about your responsibility for the collision and injuries sustained, you may still be eligible to recover compensation for damages. You should refrain from offering any opinions at who was at fault when talking to your insurance carrier. In the state of North Carolina, the law follows a theory of pure contributory negligence. This means that if a jury determines a plaintiff to even be one percent at fault for an accident, that the plaintiff cannot recover anything. If you are not certain about your responsibility for an accident, it is worth talking over your case with a Charlotte personal injury attorney. Our attorneys at Brown and Moore are willing to learn about the specifics of your personal injury case and help you navigate the litigation process. Each state has different statutes of limitations for Charlotte personal injury cases. North Carolina’s statute of limitations for personal injury lawsuits are three years, and for wrongful death lawsuits the statute of limitations is two years. For you to file a personal injury lawsuit you must file in court within three years from the date of the accident, and two years for a wrongful death lawsuit. If you fail to file your claim within the appropriate window, then our State’s courts will refuse to hear your case and your eligibility for compensation will be lost. This seems like a lengthy amount of time to file a claim, however the sooner you discuss your case with a personal injury attorney the better your chances are at proper compensation. A competent personal injury lawyer will use a good amount of time to collect all the evidence to build a strong case so that you can receive maximum compensation for your injuries. Filing a personal injury claim can be confusing and time consuming. Let our skilled personal injury lawyers guide you through the complex legal process and help you gain the compensation you deserve. At Brown and Moore law, our Charlotte personal injury attorneys will walk you through each step in the process of a personal injury lawsuit. Our legal staff advocates for your right to compensation throughout the entire legal process. The dedicated attorneys at Brown Moore and Associates provide a personalized approach for each of our clients, specific to their individual needs. To learn more about how our experienced legal team can help you with your Charlotte personal injury claim, call our office today to inquire about a free consultation.